Has your hotel business grown or stagnated in the last year? The goal of any business is to expand their customer base to ensure that they stay busy throughout the year and not just during the peak tour season. You can expand your hotel business by putting some of these helpful marketing ideas to work today. There are certainly a lot of hotels operating throughout St. Petersburg. What makes your hotel so special? Is it access to the beach? Is it free bike rentals? Is it a buffet breakfast? These are the kinds of things you need to develop that will help your hotel stand out from the competition. Once you develop that niche, you need to constantly reinforce it through all your social media post an email marketing campaigns. Your staff is what’s going to make all the difference as to whether or not a guest is going to have a good experience. You want them to feel comfortable and well taking care of. Before they check in you should let them get to know your staff. This can be accomplished with short biographies on your website or posting fun staff interviews online. If you want to provide your guests with all the comforts of home, then you want them to feel like part of the family. You should be networking with a local tourism board and Chamber of Commerce. They can provide great resources for your hotel and open up opportunities you might not think of. For instance, have you ever made your hotel available to charter groups? Booking a few buses for an overnight stay throughout the month is a terrific boost to the business. The tourism board can help get you there. You should not leave your online reviews to chance. Instead, you should actively pursue those reviews by rewarding your guests to make posts. If they put up pictures or videos on their Facebook pages, then give them something in return like a desert or cocktail. It would be horrible if these new guests check in the hotel only to find that your standards have fallen off. 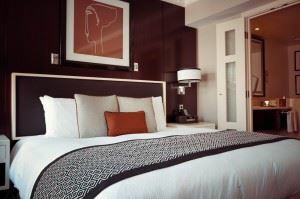 Your housekeeping staff needs to work diligently to keep the rooms clean. As for the rest of your property, Junk King St. Petersburg can be a huge asset. These are the junk removal professionals that can happily take away any amount of old furniture or appliances. It doesn’t matter how heavy or bulky something is; all that matters is that you want to gone. Put Junk King St. Petersburg to work to keep your hotel rubbish free. This entry was posted in St. Petersburg Junk Removal and tagged hotel, junk King St. Petersburg, junk removal, rubbish on July 31, 2017 by Junk King. Last updated July 31, 2017 .